Hey it’s July! Which means we are in the closing half of this wonderful year. As you may have seen all over the internet, websites and blogs and various people have documented what they believe is the best music of 2014 (so far!) and today we are jumping on that bandwagon. It’s the coolest thing to do these days, like parkour and water sports. In what I’m sure is going to be a very long post we will be showcasing a couple albums and EPs we believe are proper, well good, and deserve to be thrown into your eardrums too. I should warn you if you’re new to Exploding Head Syndrome that we mainly review music that’s…different to more accessible music. But it’s still good. On with the list! The first record to recommend is possibly the first thing everybody else has recommended. 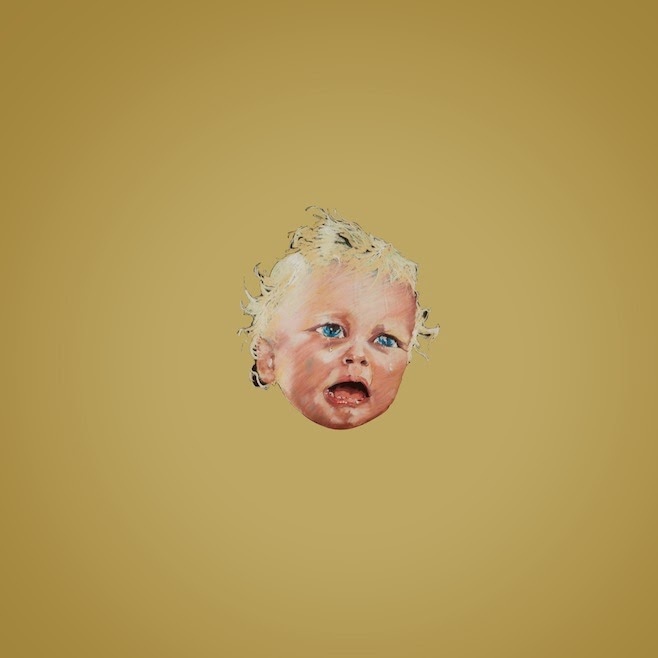 The latest effort from Swans is possibly their best yet. It’s two hours of experimental rock and god knows what mixed together to create something that’s torture on the soul but in the best way possible. Tracks such as A Little God In My Hands and Oxygen showcase Swans’ ability to take one idea and pound it into your skull, stretching the repetition to painstaking lengths while somehow keeping it thick with additional percussion and the most chaotic vocal performances from Michael Gira. It’s an album that holds it’s own and scares off the competition. It’s murderous, creepy, hideous, and yet so satisfying.It’s definitely a strong contender for album of the year, and if you can endure all of it in one listen, you would probably agree with that statement too. What better way to follow on from Swans than this? Hot Dreamsis the latest effort from Timbre Timbre and goodness me it’s good. Lead single Hot Dreams contained everything we knew and loved (from a distance) about Timbre Timbre: slow paced rhythm, heavily eery vocals, and lyrics that repeatedly jumped the border of sweetness and serial killer-y. The track signalled a sound that was boosted by a much more ambitious focus on instrumentation, and that is evident throughout Hot Dreams. Each of the songs feature instrumentals that sound clean, crisp and finally seem to fit with the almost-Elvis quality of Taylor Kirk. It’s a wonderful album about love, but maybe not one you should use to seduce a desirable partner. Liars have always been a band known for having a pretty consistent discography which is pretty rare amongst long standing bands, but there’s nothing really been a defining record for them. Early this year they dropped Mess, a record that supported a new, electronic sound for the band and they certainly excelled with it. This record is funky with disjointed, punk-infused beats and packs a punch by delivering hit after hit. After many plays Mess still surprises me with a certain beat or hook that keeps me firmly believing that this will easily reach the top 10 in some end of year lists. To round off the albums we have Co-pilgrims’ Plumes. It isn’t experimental or strange or will mess with your head but it is easily one of the most cohesive, enjoyable records of the year. The instrumentals paint a wonderful summery picture while the lyrics add a couple spots of depressed delivery to create a wonderful collision of opposites. Plumes is catchy, thought-provoking and definitely Co-pilgrim’s defining record for me. If you haven’t heard this record yet then it’s time you do, it’s a wonderful summer record. Also, shout out to Chromeo’s White Women. I’ve gotten extremely obsessed with Chromeo in the last few weeks, check them out too. 2014 has been a big year for WTCHS. The band who ushered in the underground movement of beyond fucked up lo-fi music in Canada have received a ridiculous amount of praise for their mix of catchy-turned-upside-down music and it all came to a head with the release of this EP. It’s Not A Cross…is a great introduction into the world of WTCHS and the likes of PERDU and Out Of Sound Records, and while as always with WTCHS it warrants a couple listens, it is definitely an EP to remember fondly. From the ashes of Dananananananananananananananakroyd emerge Alarm Bells. A new band that retained all of the fast paced math rock that the predecessor possessed. Part Two showcased Alarm Bells’ talent at filling their material with many, many entertaining guitar riffs and wild vocals and just a lot of noise. If you ever felt like you needed to receive many blows to the head by guitars, drums and voices then this is the EP for you. I freaking creamed my trousers when reviewing this EP. Grace Joyner’s debut effort is six songs all beautifully crafted with stunning vocals, lightly layered instrumentals that not only showcase Grace’s talents but also sounds really, really good. This is a poppy affair I could have for the rest of my life. It’s fantastic. Alright! So there we go. Just a couple of albums and EPs to fangirl over. It shall stop now. There have been many more on our Loved List which could have been chosen but the aforementioned are records that have personally left me blown away or have been stuck in my head all year round. I’m very excited to see what the remaining months bring us, and also excited to see if these recommendations even make it on our Best Albums/EPs of 2014 lists. Who knows. I might get amnesia or something. Who knows. For more music reviews, free downloads and a tasty batch of cookies check out Exploding Head Syndrome on Facebook and Twitter.